Going head to head today will be these two lipsticks. The first one being at Lime Crime Velvetine in the shade Teddy Bear, this one will run you $20.00 and comes with .088oz of product, which feels like a pretty decent amount for a liquid lip. It opponent is the Jeffree Star Velour Liquid Lipstick in the shade Androgyny, this one will run you $18.00 and comes with .019oz of product. So, these two are really close in price and I do know that both of these brands have had some controversies in the past, but honestly, I like both brands of lip products so I decided to share this one anyway. I always do this and I know it doesn’t really matter, but I want to talk a little bit about packaging, I know that they are pretty much never dupes in terms of packaging but I just like to go over it so you know the pros and cons of both. The Lime Crime is fairly simple, it’s a matte tube that you can still see the color show through on but it’s matte and frosted for sure, which I kind of like the look of. The lid is really pretty, it’s a metallic red with roses on it and the applicator for this one is a pretty standard doe foot applicator, nothing fancy or too exciting here. 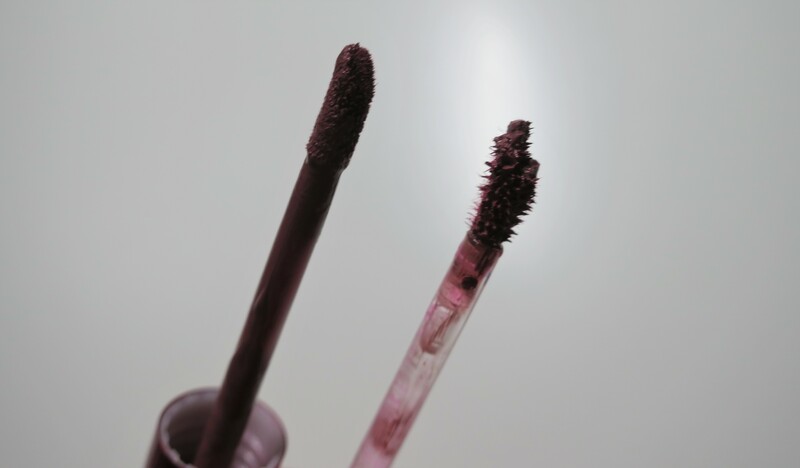 As for Jeffree Star, this one is clear and smooth in terms of the tube, which I like the feeling of, it has the name and such printed on the tube itself. This one had a bright pink handle with the Jeffree Star logo on it, which I like the color because it is fun, and the applicator is one of those doe foot esque ones that have a dip in it to make for smooth application. 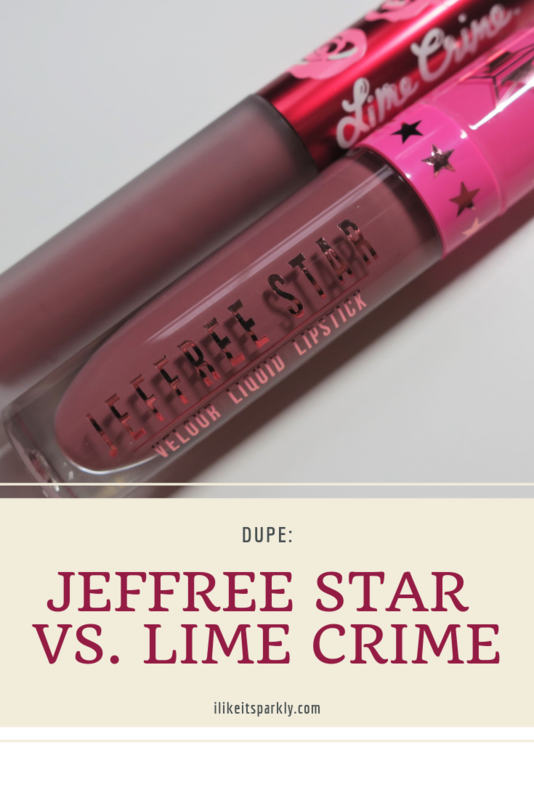 I like both fine, I prefer the design of the Lime Crime but the feeling of the Jeffree Star as it just feels a little bit nicer. Now, for the part that really matters and that is the color and application and I have to say, this one’s color is spot on if you ask me. Any guesses as you which is which? If you guessed Jeffree Star on top and Lime Crime on the bottom, then you would be correct. I think these two are dead ringers for each other in terms of color, the formula is where they differe a tiny bit. I find that the Jeffree Star one is a little bit thicker and a tiny bit more comfortable to wear on the lips, but the downside to that is that it doesn’t last nearly as long as the Lime Crime. 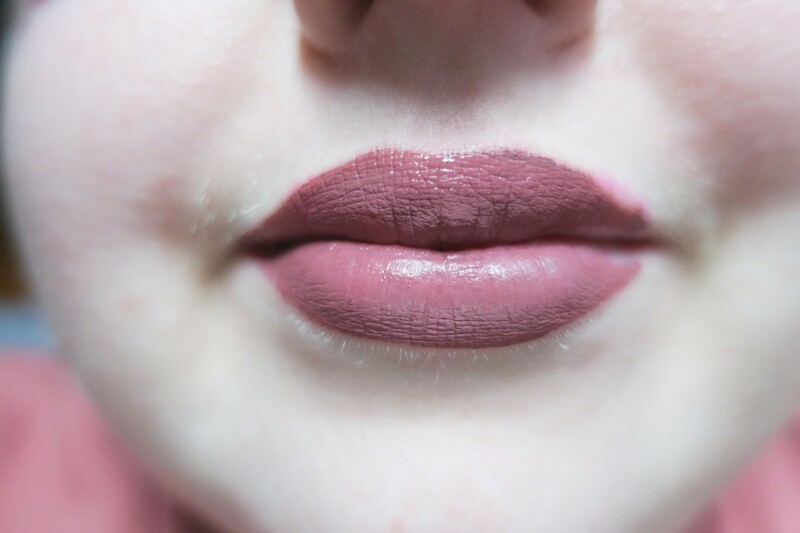 The Lime Crime one is a little bit more uncomfortable on the lips and I find that it dries them out a little bit faster, but it does stay put a little bit longer. Eventually, they both start to crack a bit but that’s pretty typical for liquid lipsticks, at least for me that is. So, overall do I think these two are dupes? Yeah, basically, their differences are very minor and I see no reason to have both unless you already have them, really love this shade or just like hoarding lipstick like this girl right here, behind the screen. Either one would be a fantastic addition to any makeup collection if you ask me because both formulas are really nice.